Five essays concerning the immortality of the soul. According to Hindu tradition, the immortality of the soul cannot be proven by Western logic or scientific reasoning. 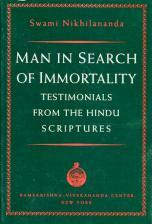 The five "testimonials" within the book are based on ancient Indian scriptural evidence as well as the direct experience of enlightened individuals. Swami Nikhilananda (1895–1973), born Dinesh Chandra Das Gupta, was a direct disciple of Sri Sarada Devi. In 1933, he founded the Ramakrishna-Vivekananda Center of New York, a branch of Ramakrishna Mission, and remained its head until his death in 1973. 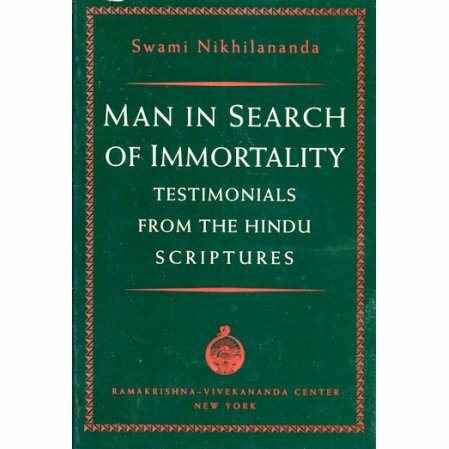 An accomplished writer and thinker, Nikhilananda's greatest contribution was the translation of Sri Sri Ramakrishna Kathamrita from Bengali into English published under the titleThe Gospel of Sri Ramakrishna. See also Sri Sri Ramakrishna Kathamrita for another English translation by Dharm Pal Gupta.